Domain Names from £4.26 per year! Cheap domain name registration can be found at GetDotted.com (from only £4.26 per year). Freeola.com offers fast and reliable cheap broadband. No connection with any other organisation other than Freeola and GetDotted is implied. 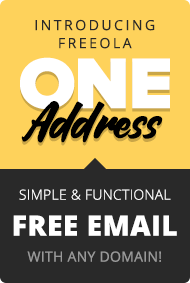 Unless otherwise stated, the domains listed for sale at Freeola and GetDotted are offered directly by their respective owners. Customers are advised to verify authenticity and legal status before making an offer to acquire these preowned domains. exclusively with GetDotted and Freeola.com Internet. Visit our Domain Types & Prices page to see a full list of our domain types. We have a range of online help guides available. 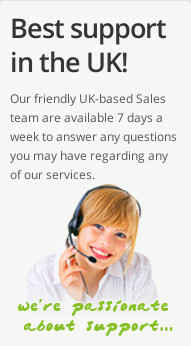 To speak to a trained advisor, call our UK Help & Support Team. Or you can send us an email ticket. I don't know if many people bother to do this, but I wanted to thank Freeola and Get Dotted for the fantastic services. I have registered names and used the free hosting services and found that the information available at every step of the way has been superb, accurate and intuitively helpful. 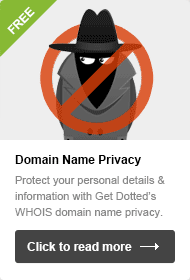 GetDotted is a leading UK domain registrar offering unlimited hosting and cheap renewals for available cheap domain names. Get your URL for a personal web site address. Or take advantage of our great free sell domain names service. 9am to 6:30pm Monday to Friday (excluding bank holidays).